LAKEVIEW — Turns out, Chicagoans really love biographies. 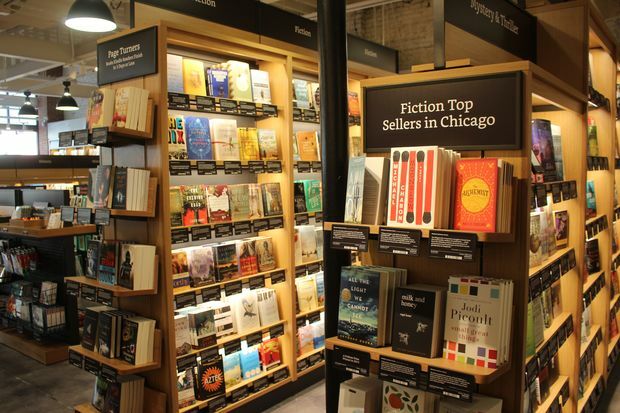 The factoid came to light as curators mined data from Amazon.com to decide which books would appear on the shelves of Amazon Books, the company's first Chicago outpost that opened Tuesday. Paring down the millions of books offered by the mega-online retailer was a process that required "data with heart," said Jennifer Cast, vice president of Amazon Books. "All bookstores have their special sauce," Cast said. "And I think what makes us special is taking the information we have about what customers love and then figuring out how to help customers find books in a new way." The cooking and travel sections also cull from top Chicago buys. While Portland travelers often vacation in Hawaii and California, Chicagoans seek travel advice about Florida, the Caribbean and Midwest states like Ohio and Michigan, Cast said. There is no trace of the former Mystic Celt left behind at 3443 N. Southport Ave., where Amazon Books opened its first Chicago outpost. 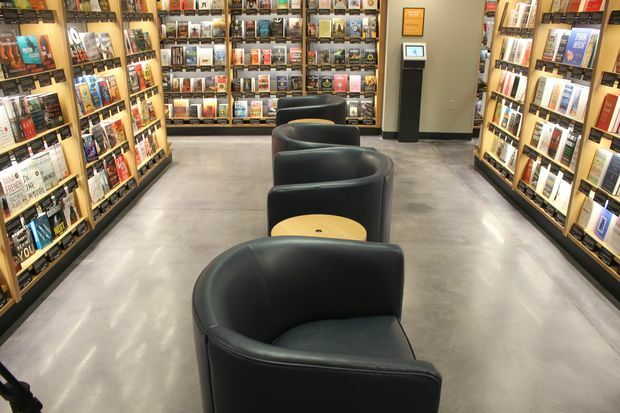 Instead, the 7,200-square-foot space feels like a cross between a pristine university bookstore and the traditional bookstore overflowing with review cards and a deep knowledge of the best reads to buy. 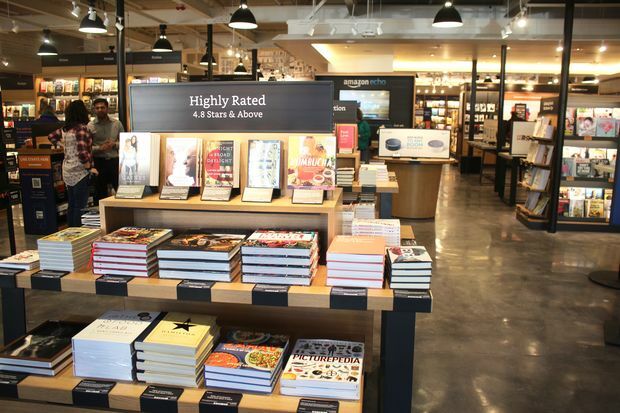 After seven months of construction, the fifth Amazon Books (and first one not located in a mall) opened in Lakeview, bringing a curated selection based on online reviews and information gleaned from Goodreads, a social book review app also owned by Amazon. All books — which are displayed on shelves facing front instead of stacked with spines out — includes a review from Amazon.com shoppers and a bar code, which allows for easy access to more online reviews and price comparisons. Shoppers with the $10.99 monthly Amazon Prime membership will get the same discounts they get online in the bookstore, while others will pay the regular listed price on books. 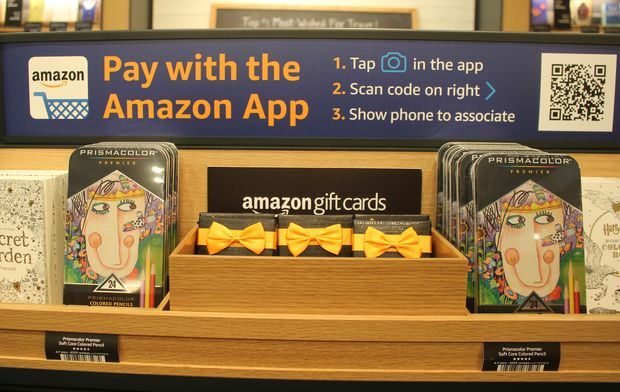 All customers get the Amazon.com prices for devices like the Kindle, Fire tablet and other electronics, many of which are sold in the bookstore. 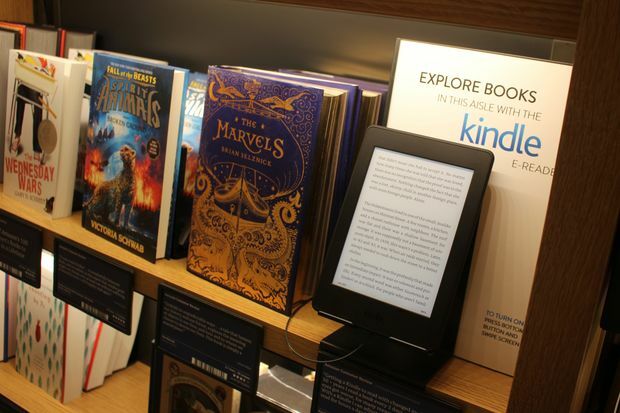 "Since our Kindles came out 10 years ago, customers have been asking for the opportunity to actually touch them and compare the models," Cast said. "They can see various Kindles, explore Echo and [Echo] Dot." The store also has a small selection of smart lights, fans and other devices that connect to the digital assistance speaker. Nearby, a small cafe sells Stumptown Coffee drinks from $1.75 to $4.45, Rishi tea and baked goods from the Brighton Park-based Poppie's Dough. 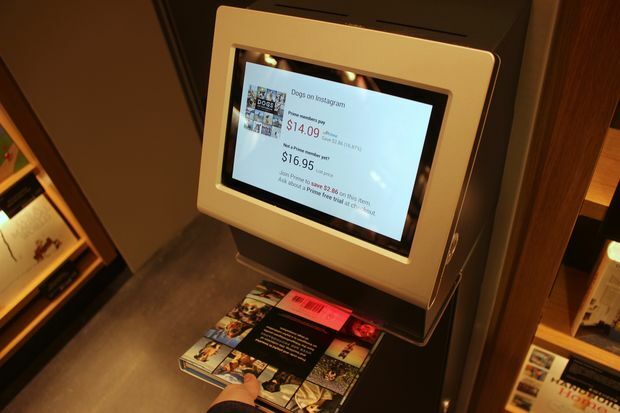 It might seem odd for an online giant to break into the brick-and-mortar market, particularly when bookstore chains like Borders have gone bankrupt due to, in part, the drive toward online shopping. 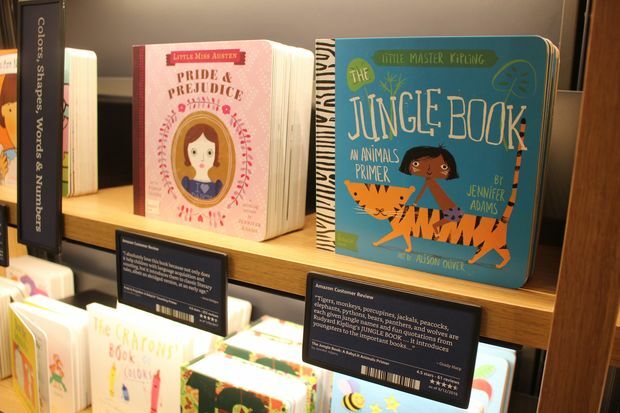 But to Cast, small differences like shelving books with covers facing outward and offering only the most popular or top-rated books will bring in customers "who really want to discover a really great book." "There's room for more people to read a lot more books," Cast said. "That's our goal, and I think we all share that goal. Many of us [bookstores] will be successful in doing that together." 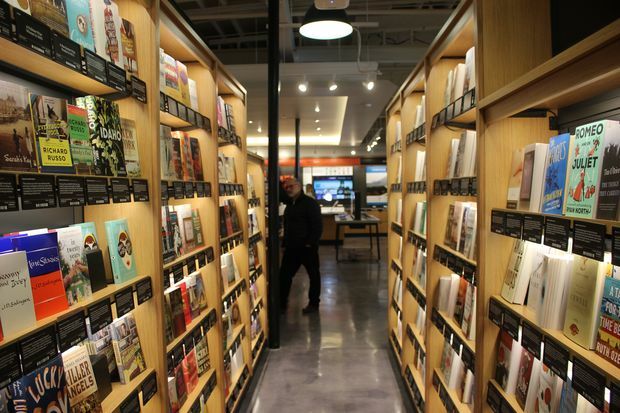 Not everyone agrees with Cast; days after Amazon announced its plans for Chicago, 16 Chicago area booksellers criticized the move. The shops addressed the benefits of independent booksellers and the impact the massive online superstore has had on community businesses already. 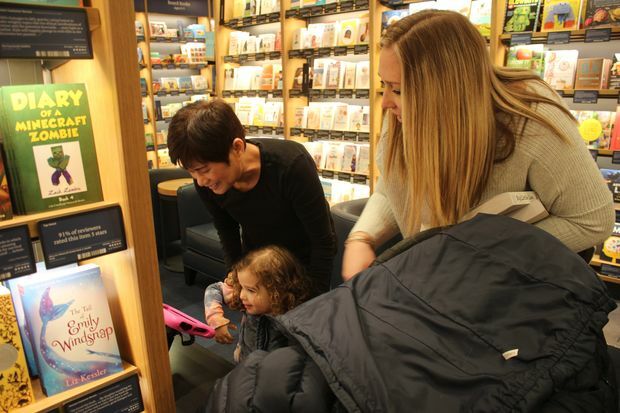 The shops, scattered across Chicago from Hyde Park to Lincoln Square and into the suburbs, "pride themselves on serving customers who read voraciously and eclectically and on using books to create a conversation with customers and their communities," store owners said in a statement. 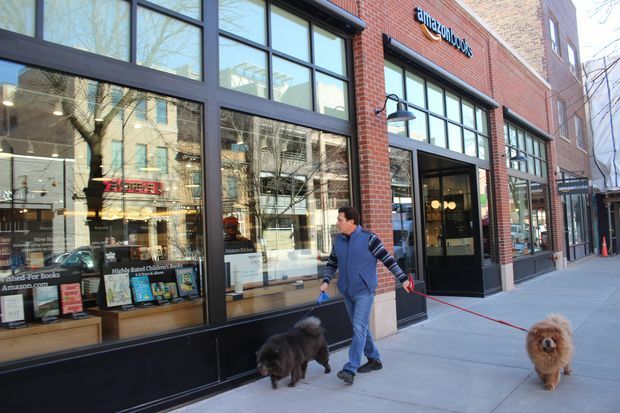 The statement cited a 2016 report co-sponsored by the American Booksellers Association that accused Amazon of skirting sales taxes and costing Illinois an estimated $59.8 million in revenue in 2014. Another study found the company's presence has resulted in a net loss of 7,800 retail jobs in the state, the letter says. Meanwhile, Chicago Review of Books, a year-old independent literary journal with a fiery streak, shared a list of 12 bookstores to visit instead of the newly opened Amazon Books for its first official day of business. The list is based on a Facebook post written by Chicago author Rebecca Makkai on Monday. "Please show our indies love this week," Makkai wrote. "They always need it, but now more than ever." Amazon Books is open from 8 a.m. to 9 p.m. Monday through Saturday and 9 a.m. to 6 p.m. Sunday. Its cafe is open 6:30 a.m. every morning until close.